Spring Ball not Bouncing the Right Direction….Yet. Is anyone within the Rays Republic ready to walk the gangplank, find themselves stressing out to the point of exhaustion so far this Spring? My advice to you then is to simply chill. Find yourself a shady spot, bask in the evening glow of the sunset and relax, it is Spring baseball. 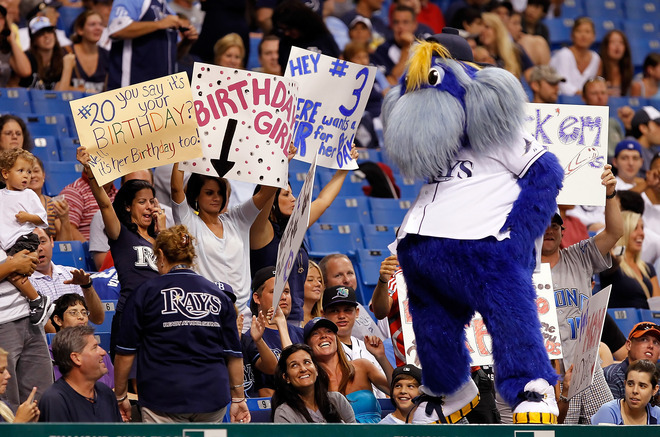 The Tampa Bay Rays will be fine, they are just tweaking and honing their skills with April 6th as the red letter day for their 2012 re-introduction to the rest of the MLB. 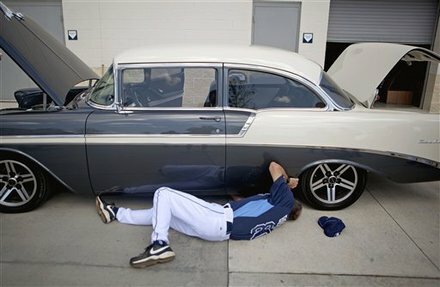 Sure the Rays have posted their first ever 0-6 start to the Spring schedule, but what do you expect when you have a fire drill of changes, bring in certain pitchers for obvious situation and sometimes the opposition’s momentum doesn’t stop like Rays skipper Joe Maddon’s classy old, but new ’55 Chevy (bad brakes). So what if the end of all 4 games this Spring have left you with a bitter taste, it is the Grapefruit League for gosh sakes. 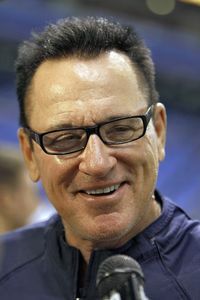 But during these 4 losses to start the Spring the Rays have found as many diamonds as they have clumps of fool’s gold. Some of the competitions we have been eager to watch unfold have taken a few wild turns already, with some results showing light on some to favor, and a few dark spots that might extinguish a few chances in the near future. I can easily dismiss the apparent late error today (Tuesday) by Rays SS Sean Rodriguez as he tries and entrench his name upon the line-up card as the team’s starting short stop. S-Rod might have made a bad play today, but his .750 average with a run scored in 2 contests shows Rodriguez came into the Spring wanting a starting gig to call his own. 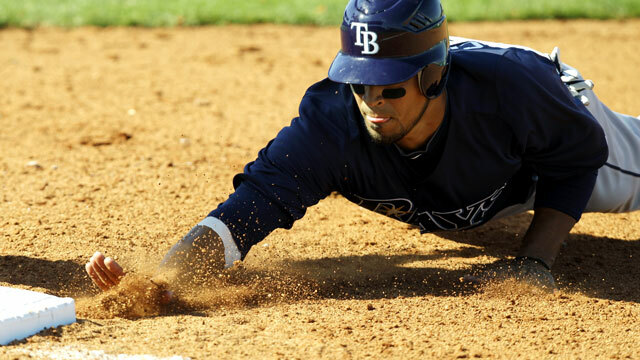 S-Rod finds himself in a belly of the beast, a nice dogfight early with rising Rays SS prospect Tim Beckham who has suited up and played in all 4 contests, mostly after the 4th inning, but has shown the skill and athletic grace needed to one day man the Rays 6-spot. 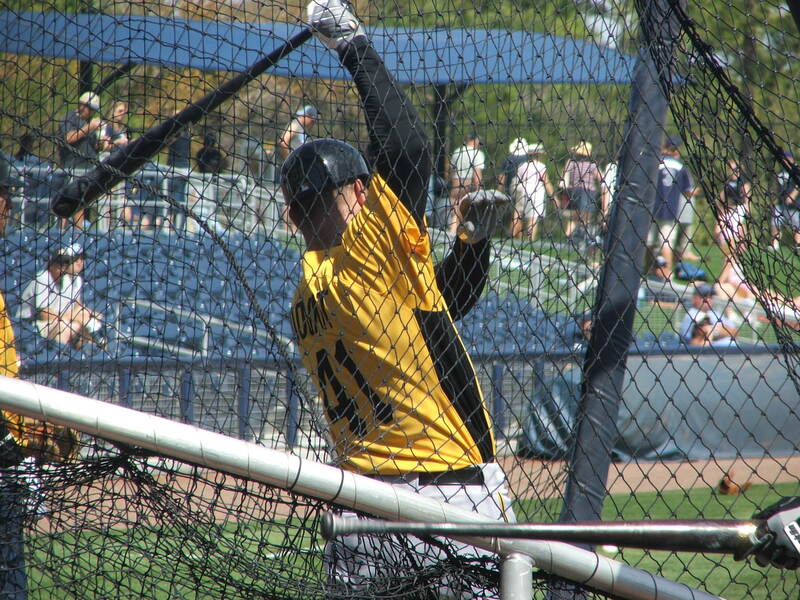 Reid Brignac, who was expected to be a throne in Rodriguez’s side as so far not cranked it up the needed notch to retain or keep his 2011 Opening Day SS spot. “Briggy Baseball” has gone 0-3 at the plate. The second spot thought to have more than a few Rays eyes glued to it, the back-up catching position has seen the Rays two young guns Robinson Chirinos (.500) and Jose Lobaton (.333) basically trying to 1-up each other as the 2 back stops have produced great numbers. 2011 Durham Bulls catcher Steven Vogt has proven in the last 4 games he is not ready for the Comedy Corners of America just yet posting up a .375 average with 2 doubles to go along with his .650 Slugging Percentage. 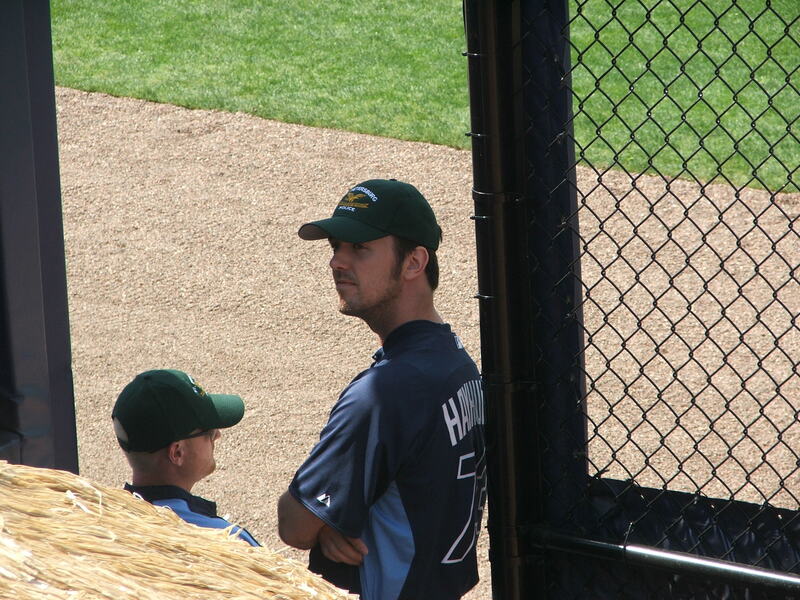 Suddenly the Rays back-up catching role might have a dark horse, with the initials “S V”. So even as the Rays have clunked to their first ever 0-4 record in their 15 Spring seasons, with the way the line-up card has needed the large spacing of your First Grade writing tablet combined with an over-sized eraser and giant pencil production from the regular 2011 Rays line-up has shown this team is better than their record. In the first 4 innings of these 4 games the Rays have given up 6 runs while scoring 2 themselves. 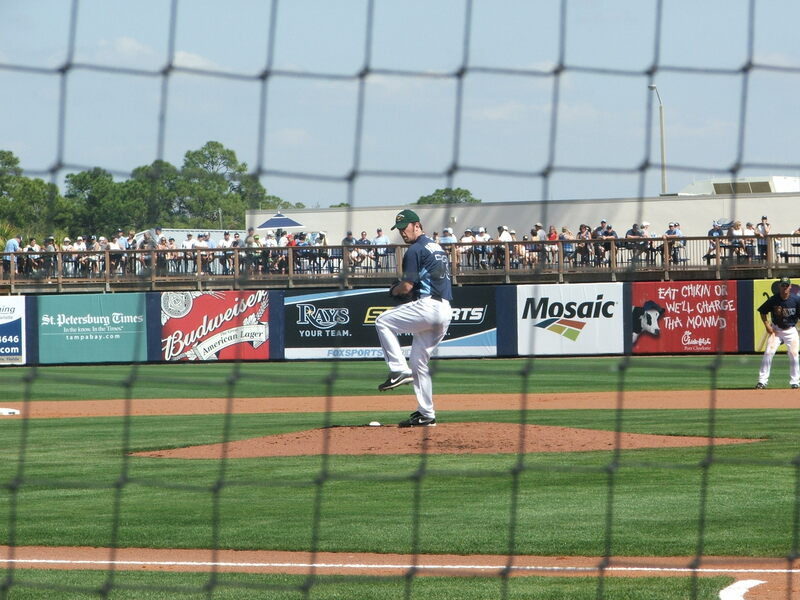 That is also a bit deceiving as the Rays sandwiched their 2 worst performances giving up 2 runs in the first 4 innings during their Opener to the Minnesota Twins, then 3 today as the Twins visited Port Charlotte. In between that, the Rays gave up only 1 run in the first 4 frames of their 2 middle contests. 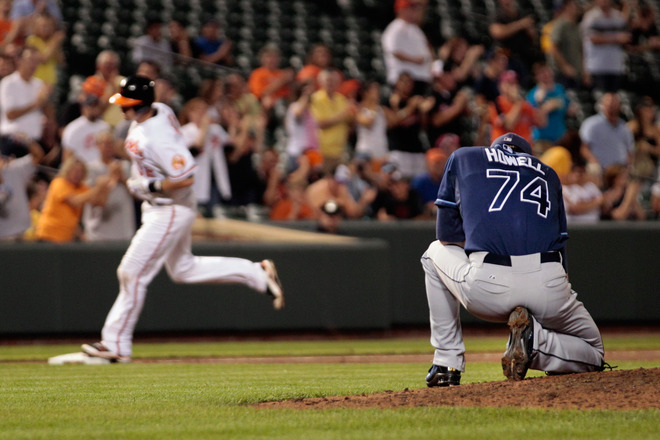 Surprising enough, the guy the Rays have penciled in as an apparent relief pitcher possibility for 2012, P Wade Davis only went to the mound on Monday in Sarasota and blanked divisional foes the Baltimore Orioles with an outstanding 1-hit, 1 K effort over 2 innings. That puts more pressure on SP Jeff Niemann and possibly rookie Matt Moore to produce or possibly not be wearing a Rays uniform on April 6th ( home opener). So do not fret the 0-4 record. It is a passage of Spring to test and put some of the younger guys through the paces and situations that will make them better MLB future players. Some of the Rays losses might have been avoided if the “A” team had gone the distance, but in the Spring, it sometimes looks more like a Church League softball game with constant line-up and position changes and number that reach up to almost 80. 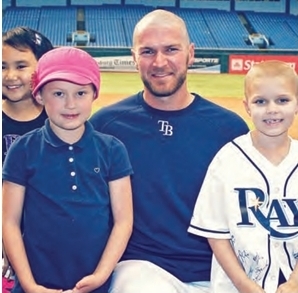 One last note, keep your eye on Rays Spring invitee OF Jeff Salazar who has 1 of the Rays 2 Hrs, plus is sporting a 1.375 OPS and .875 Slugging Percentage this Spring in 4 games. 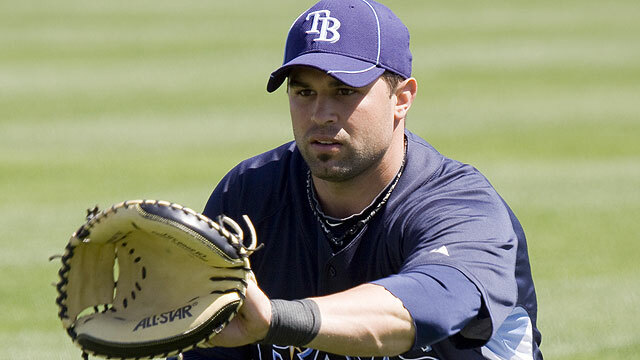 They Rays are said to want to carry at least 5 outfielders this season, and if Salazar keeps up his pace, he could be the 2012 edition of Sam Fuld and find himself not only a roster spot, but considerable playing time, even in the early innings. 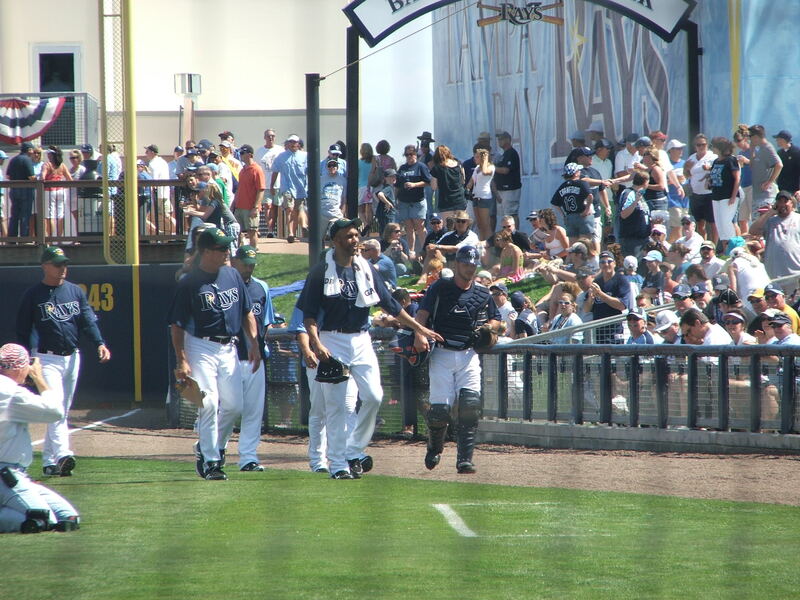 Let’s just hope the bus trip up to Tampa on Weds with SP James Shields taking the hill for the first time this Spring…Maybe it is just the time for some Big Games James to break this streak. 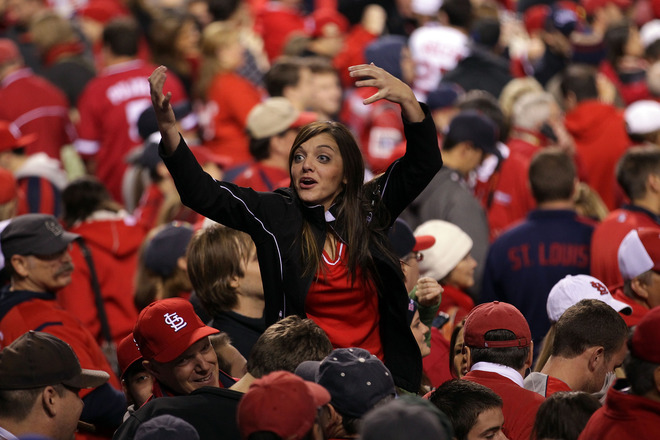 At the precise moment on Friday night as the St. Louis Cardinal’s barrage of champagne corks began their ascent towards the heavens, 29 other Major League Baseball franchises heard only the undeniable audible signal that announced the beginning of their own rebuilding and tweaking process. 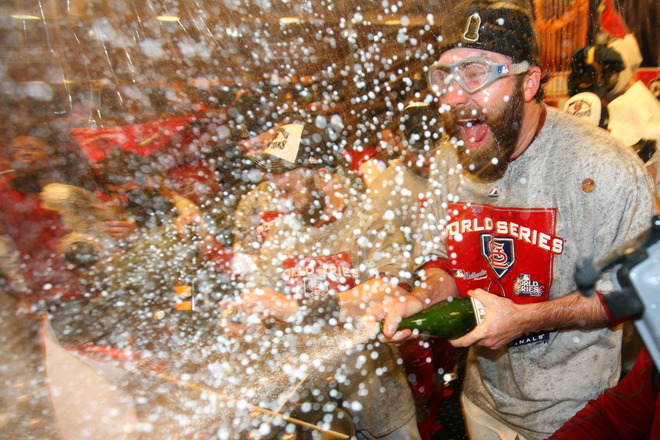 These MLB clubs did not watch in awe and admiration as Cardinal fans and players took their ceremonial baths in bubbly, that precise moment beckoned each and every club to begin to unveil and move towards their own dreams of celebrating in November, 2012. As the city’s faithful began their dancing beneath that mighty arch, baseball vistas from Seattle to Miami began their own quests to become the club’s to do that same celebratory display in November, 2012. 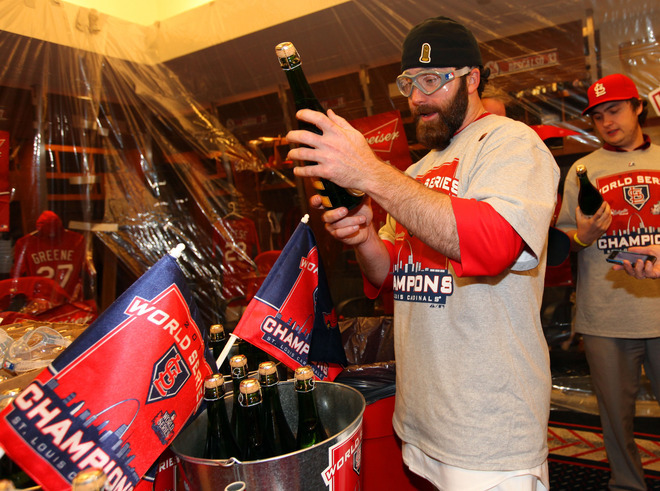 With the first cork came the realization that the 2011 MLB season is in the books, and 2012 is there for the taking. This morning as the Sunburns off last night’s celebration haze, the Cardinal faithful are rushing to outlets throughout their city for their World Series title mementos while the rest of the MLB is sprinting to possibly gain a sizable lead in retaining, replacing or reconstructing their squads to have the same experience in 2012. The off season folder have been plucked from their secretive hiding places and already things are in the works both behind the scenes and in plain view. 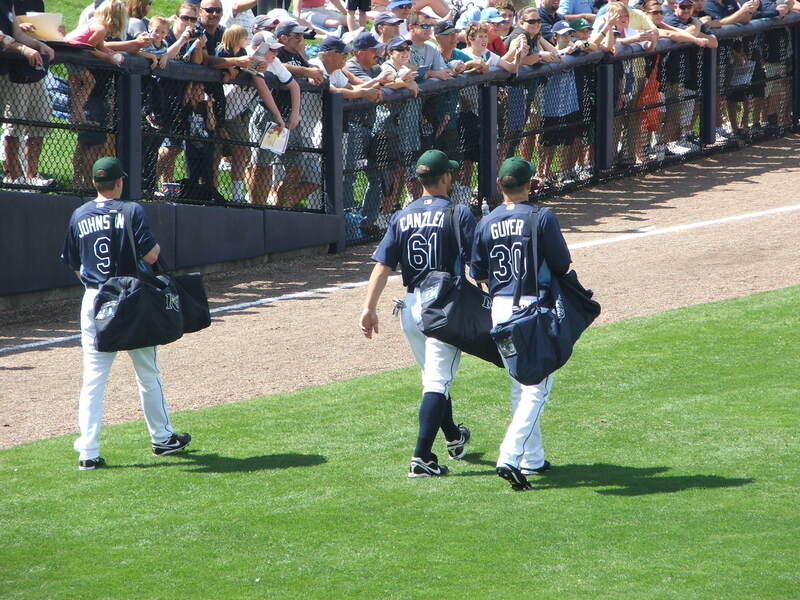 The off season for everyone in Major League Baseball has officially begun. 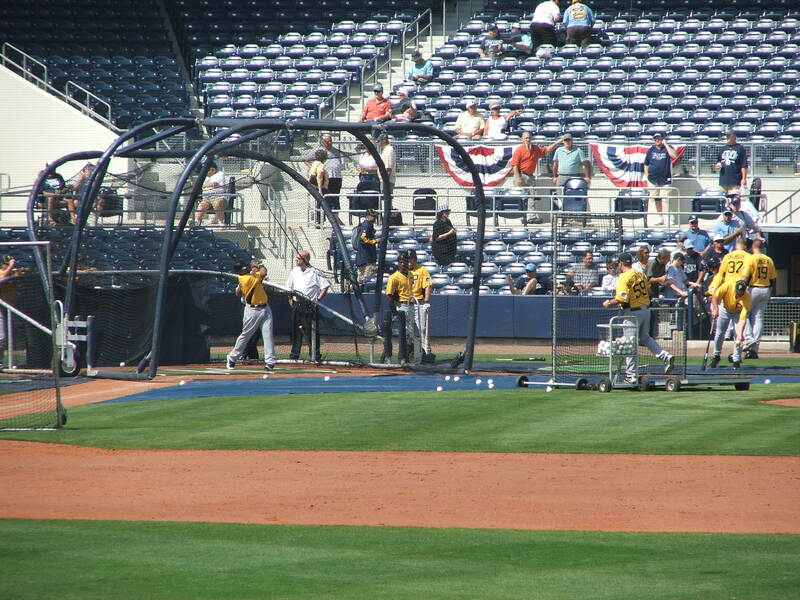 Here in Tampa Bay, the Rays should have an pretty abbreviated laundry list compared to their 2011 off season “wish list”. Still a few additional key components have to be found, possibly tweaked or invited to re-sign with the young club to give the Rays that same competitive fire and drive that send them from bystanders to Wild Card darlings. 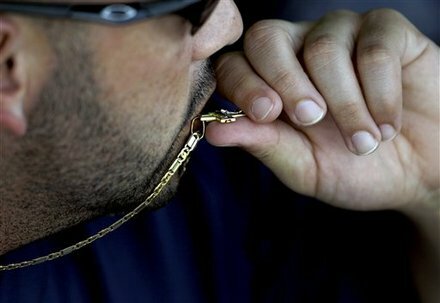 Key decisions have to be made about certain rotation members tenures with the team. 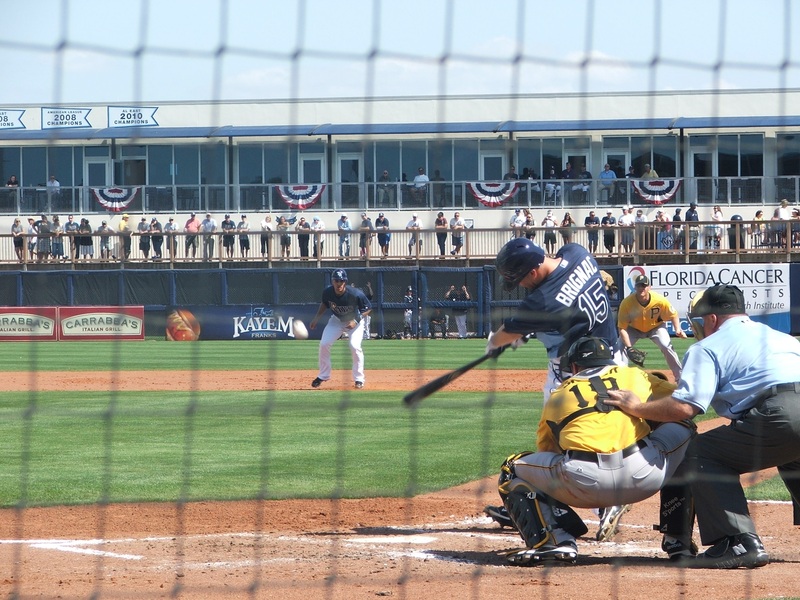 Certain arbitration-eligible players may find themselves without a team, and a few unexpected free agents might get an Spring Training invite to become a part of the Rays 2012 nucleus. 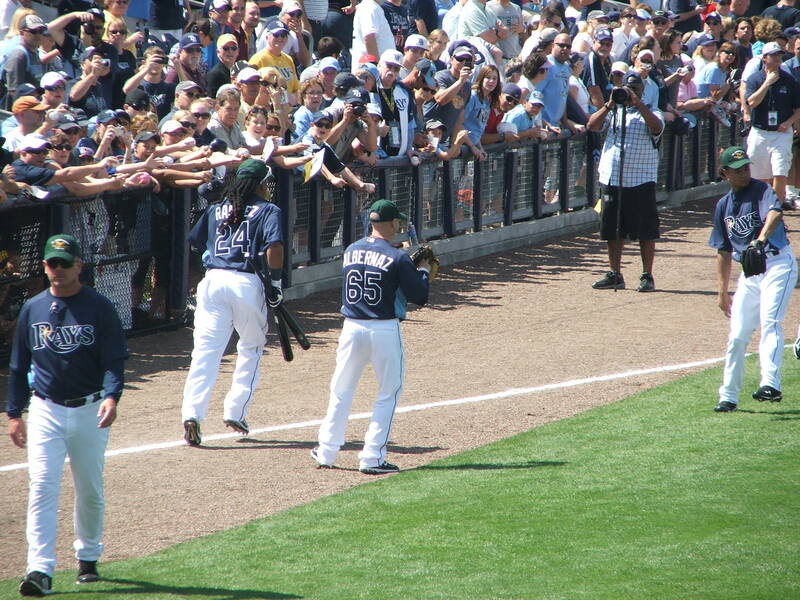 Already there is both optimism and pessimistic waves and valleys growing within the Rays Republic. 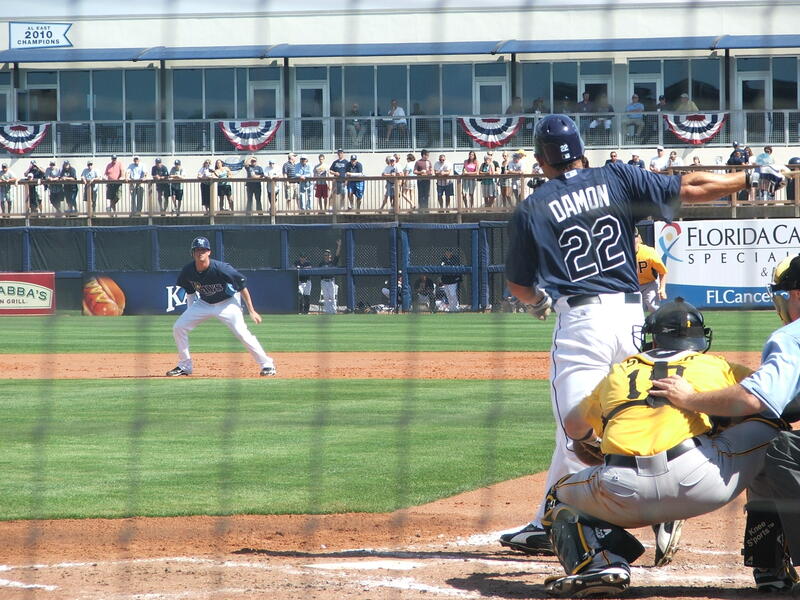 Should the Rays offer another contract to DH Johnny Damon with possibly a $7 guaranteed payday plus the same attendance bonuses? Or should the club enlist the outside help of another high priced bat-slinger to bring a bit of intimidation and power to the Rays universe? 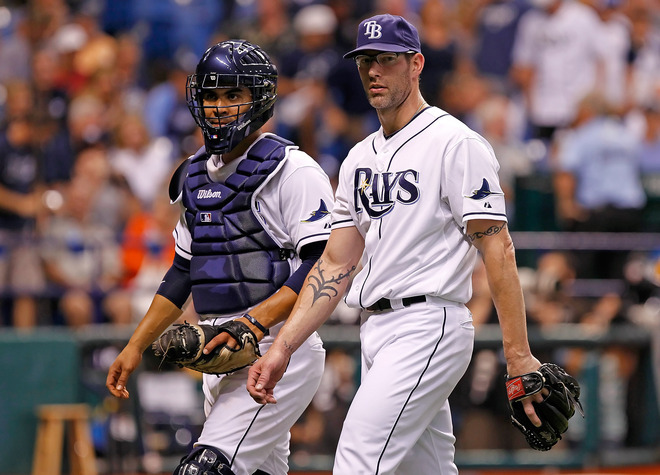 Will a few slots open up in the Rays rotation, or will pitchers like Matt Moore and the “Alex” duo of Cobb and Torres be shipped back to the minor until mid-May to stammer their arbitration clocks? 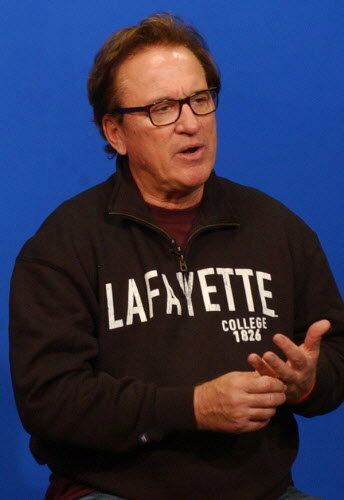 The Rays scouting system and front office is bound to have to endure more than a handful of stressful and thought provoking skull sessions to decide if the Tall Texan (Jeff Neimann) or WD-40 (Wade Davis) have better talent and potential than the pitching trifecta punching their way through the thin glass ceiling between Triple-A Durham and the St. Petersburg clubhouse. Will the Rays catching corps rebound with authority both at the plate and behind it with John Jaso possibly showing the same power and ability that made him a Rays darling in 2010, or will a bevy of Rays farm hand backstops like Jose Lobaton, Robinson “Honeynut” Chirinos, Nevin Ashley or the powerful bat of Stephen Vogt make Jaso possibly a Rays “dead man walking? The glass ceiling between Triple-A Durham and the clubhouse in St. Petersburg could be broken by several players of these players and more this coming Spring. 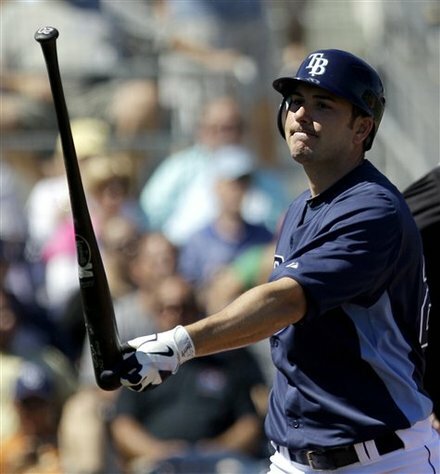 Could veteran C Kelly Shoppach’s September and post season heroics gain him another shot behind the plate with the Rays, or will the Rays decline his 2012 club option? 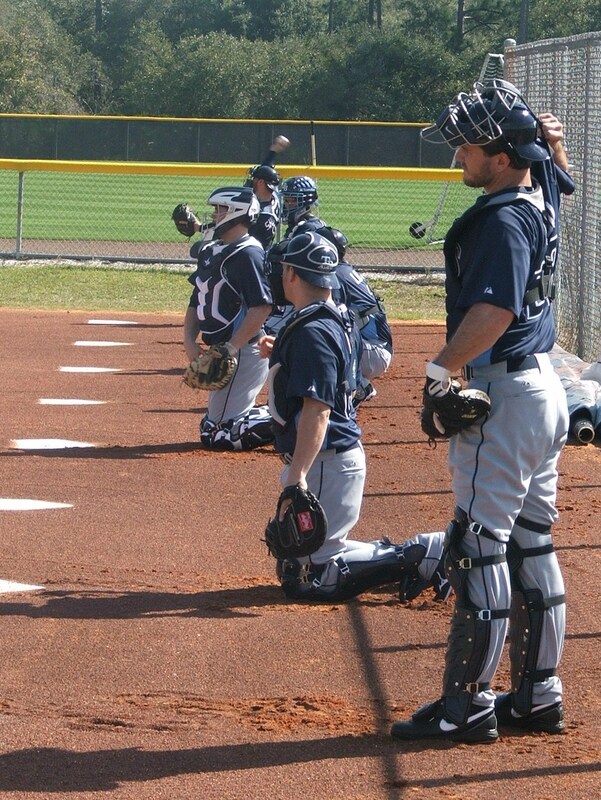 I have a feeling one of these catchers will not be with the Rays come the mid-February report date. Then there will be an endless bevy of flowcharts and statistical evaluations and scouting critiques to decide if Reid Brignac is the heir apparent at shortstop, or if infield journeyman Sean Rodriguez will be given a chance to unseat Brignac who was the Rays 2011 Opening Day SS. 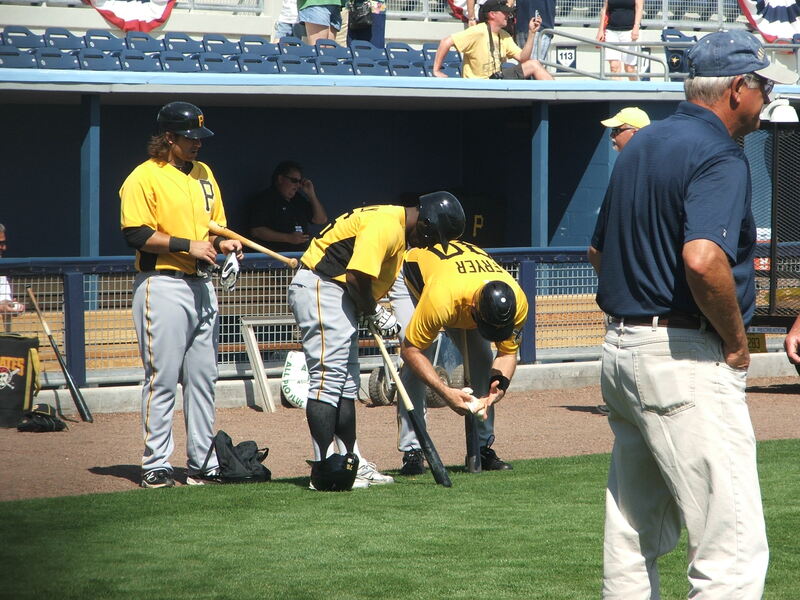 Some have said S-Rod gives the team more power and a consistent bat in the line-up whereas Brignac might have the deeper range and potential coming into Spring Training 2012. With a hot Rays SS prospect like Hak-Ju Lee and INF Tim Beckham still pushing their way up the Rays farm ladder, the current shaky foundation of Brignac will open discussions towards possibly having Rodriguez get more time in the 6-slot with the future only a phone call away in Durham come late season. 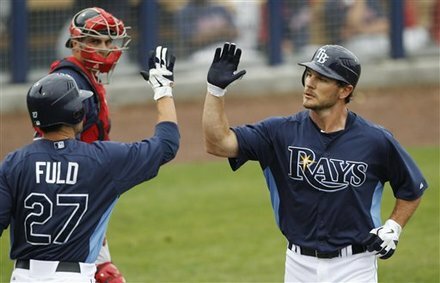 Then there is the biggest hot spot of them all, who will man the First Base bag for the Rays in 2012? 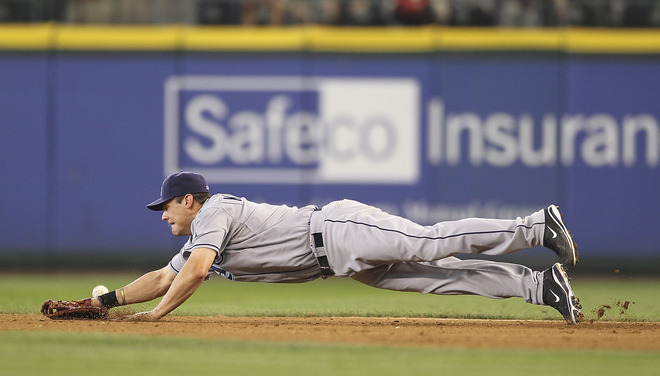 Most might think current 1B Casey Kotchman will get a nice bump in pay from his $ 750,000 2011 salary to re-sign with the Rays, but that is pure speculation until the contract is sign, sealed and delivered. Even with First Base power behemoths like Pujols, Fielder and possibly Votto dangling on the lines, the Rays will not have a salary deviations to land a high priced acquisition, and Kotchman could be a bargain both in his defense and in his renewed vigor at the plate. 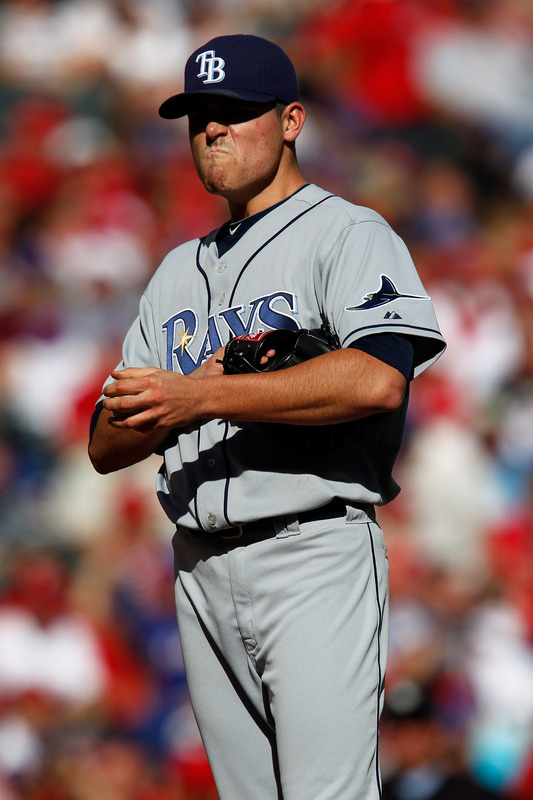 Possibly we will see the end of the “Sonny” era with the Rays. 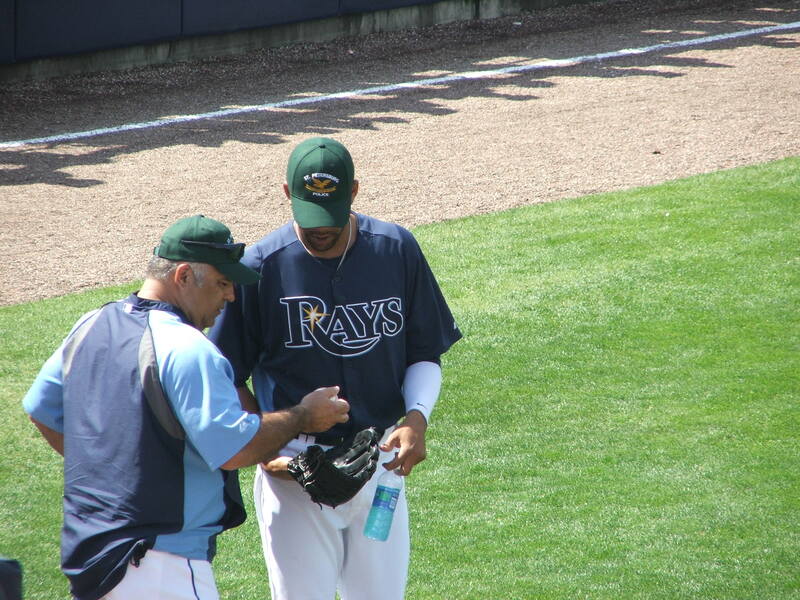 Andy Sonnanstine spent most of 2011 in Triple-A, and being arbitration-eligible again in 2012, might have worn the Rays colors for the last time. 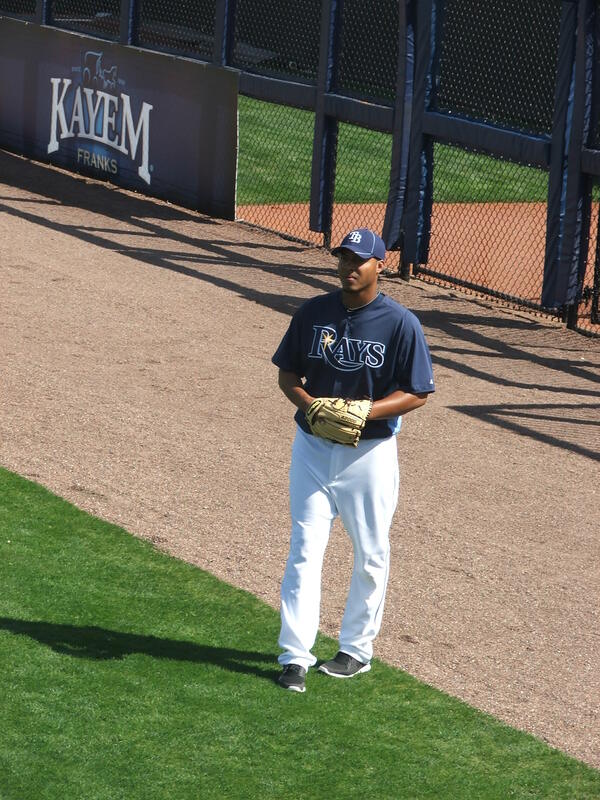 RP J P Howell also will enter the fray again, possibly also with the Rays on the fence to his ability to rebound from his surgery and again be the needed force in the Rays Bullpen. 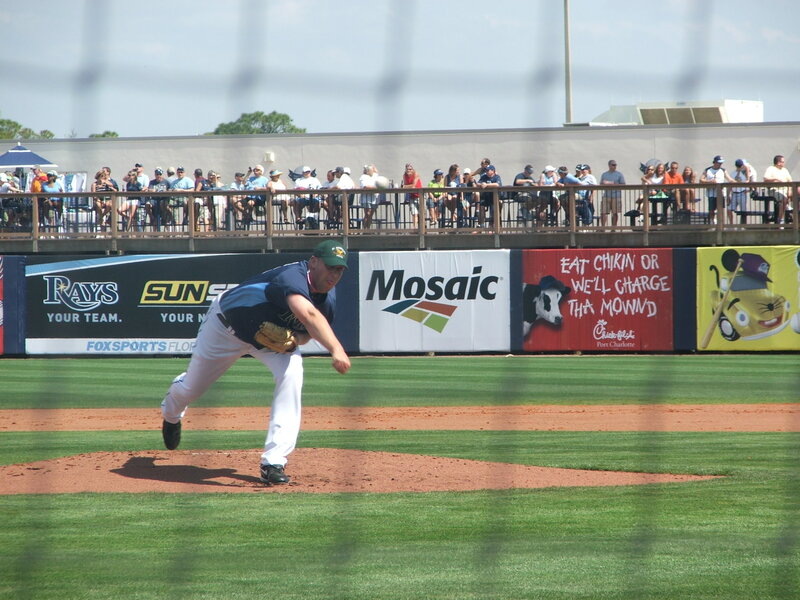 The Rays for once seem set at “leftie specialist” as both Jake McGee and Cesar Ramos should end any discussions of the Rays needing another hurler in that category. Kyle Farnsworth seems destined to again shore up the back end of the Rays Bullpen with a $ 3.3 million 2012 club option on the books. 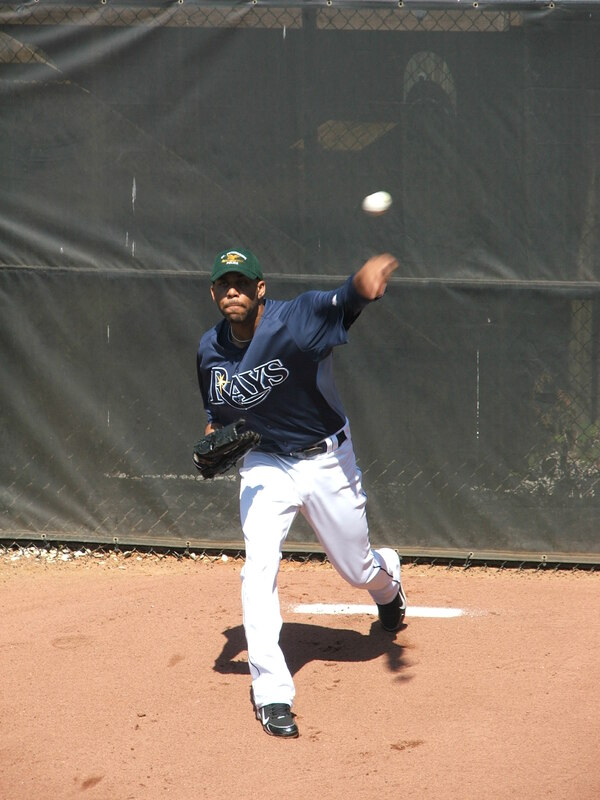 But could the late season elbow stiffness possibly have the Rays a bit anxious of a possible Deja Vu circa 2008 “Percival” scenario? 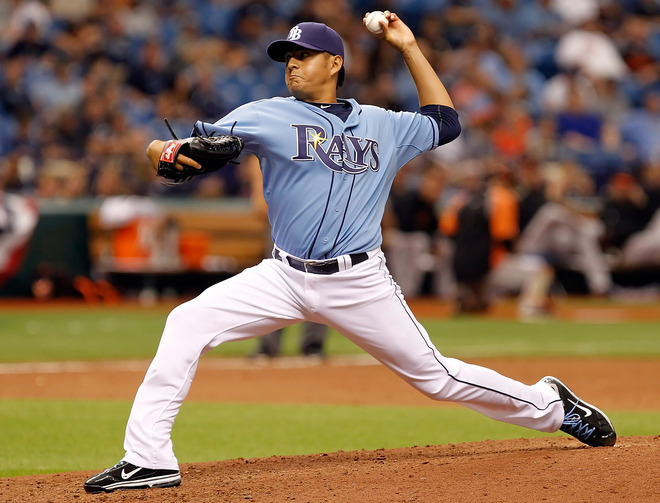 More Bullpen concern might be to see if Joel Peralta might like to remain a Ray, possibly with a extended 2-year deal. 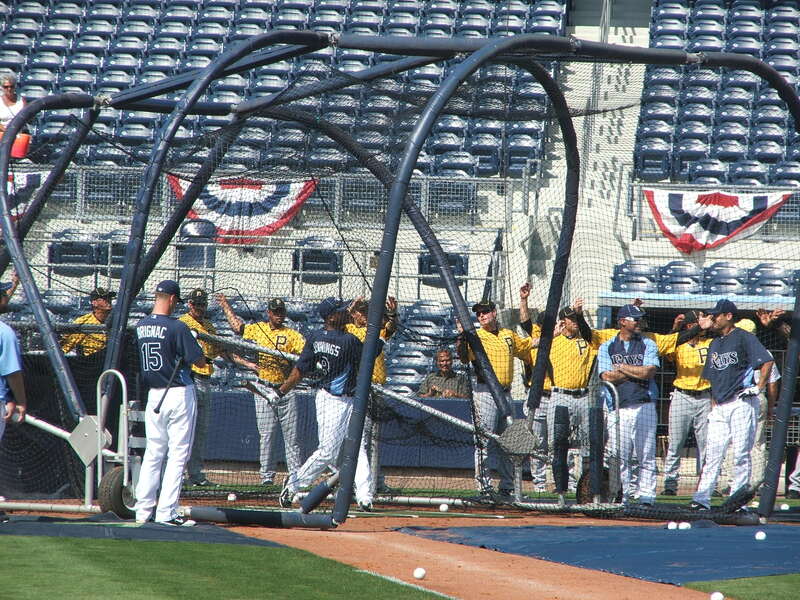 From top to bottom, all 40 of the Rays current roster members will undergo a evaluation soon. 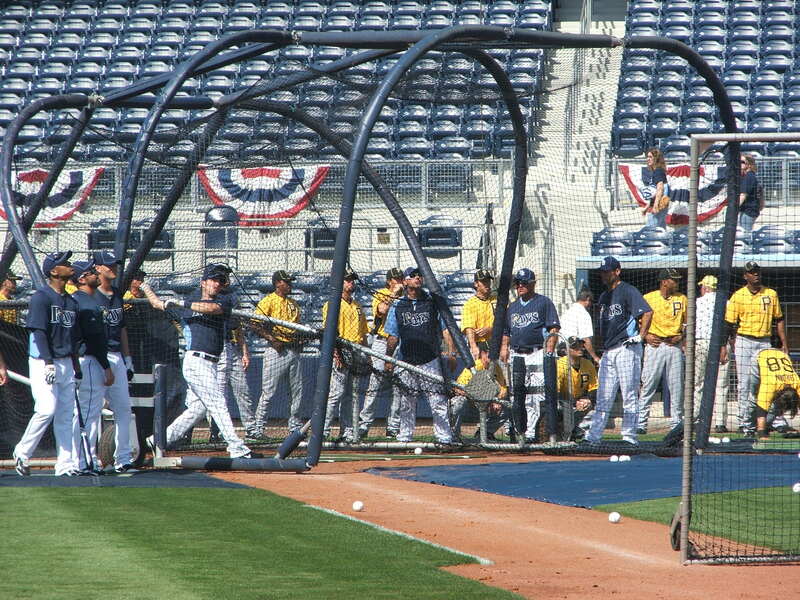 With free agents making visits to the Rays complex, and some packing their gloves for other vistas, this Rays off season has begun. Fortunately there are more answers than questions this season, but that will not hinder Rays VP of Baseball Operations Andrew Friedman and his staff as they find ample offense and suitable replacements for a few departing Rays. The 2011 season is officially in the record books, now comes the real fun for Friedman and his staff to bring the brilliance. Not much of a dessert guy myself, but tonight, the Toronto Blue Jays got their just desserts. Funny how it was not a shaving cream pie, or even a Carvel sundae, but it was a special Tampa Bay bundt/bunt cake that did the trick. Who would have thought the recipe for again awakening the Rays offense would be to start off in the bottom of the 2nd inning playing “ small ball”. That’s right, not aiming for the fences, but putting the bat on the ball and squirming it along the AstroTurf woke up not only the Rays bat, but reminded the Jays defense this team doesn’t quit. Sure Ben Zobrist did his best “2008 Zorilla “ impression crushing a ball into the Rightfield bleachers for a short-lived 1-0 lead. 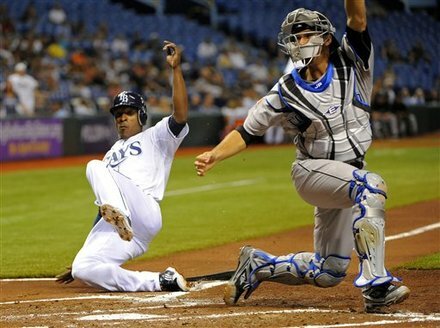 Then after a Casey Kotchman fly out, B J Upton showed why the Rays gambled and kept him here instead of sending him away. 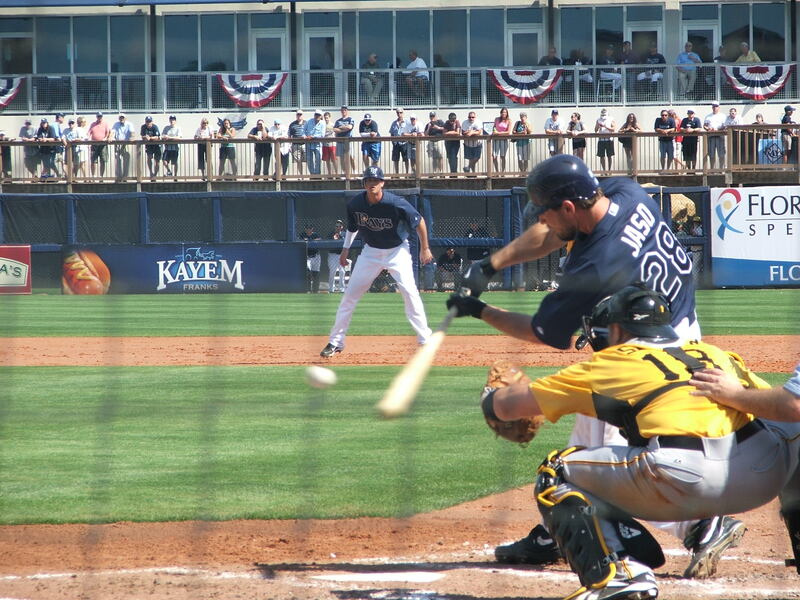 A well crafted single to Leftfield, then well placed 9 iron shot by Matt Joyce into shallow Center put the Rays in a position to make some early noise. With Joyce and Upton in scoring position, Sean Rodriguez dropped a beauty of a bunt just in front of Jays starter Carlos Villanueva who then proceeded to commit a costly error as Upton stamped on Home Plate. That was the first sliver of the bunt/bundt cake. Then Rays rookie catcher Robinson Chirinos put down his own little bounding ball of short happiness for a infield single to First. Joyce came in to score, and all of a sudden it was 3-0 Rays on top. Second helping of bundt/bunt cake with a little extra dab of frosting. All of a sudden last night’s lone Rays run scorer decided to get into the action himself as rookie speedster Desmond Jennings wanted to deliver his own bit of sugary goodness by placing a perfect bunt in front of Jays Third Baseman Edwin Encarnacion who was playing back hoping for a double play ball. Suddenly bases were loaded with Rays, another slice of bundt/bunt cake delivered. Finally Johnny Damon ended the sugar rush by delivering a long and deep sacrifice fly to Centerfield that easily scored Rodriguez to make it 4-0 Tampa Bay. 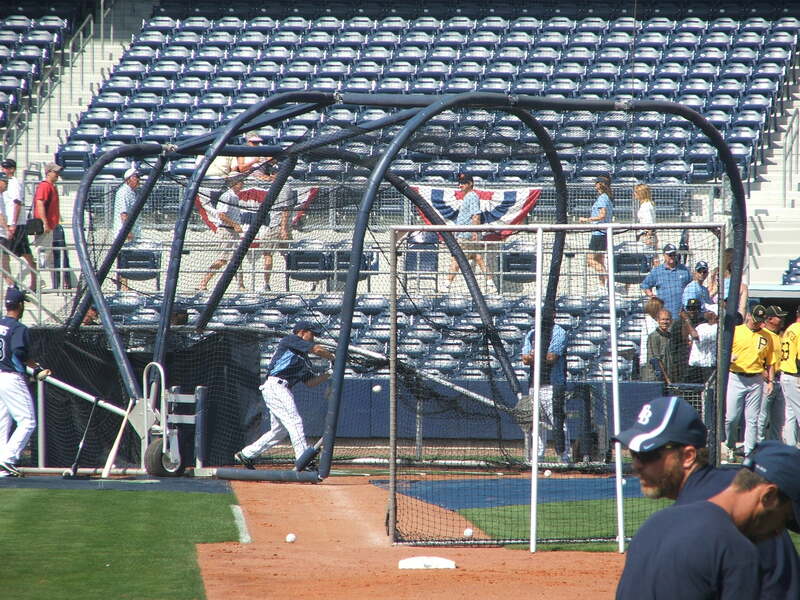 All of a sudden a little bit of pre-game prep work by the Rays in bunting drills snapped their offense out of its funk. 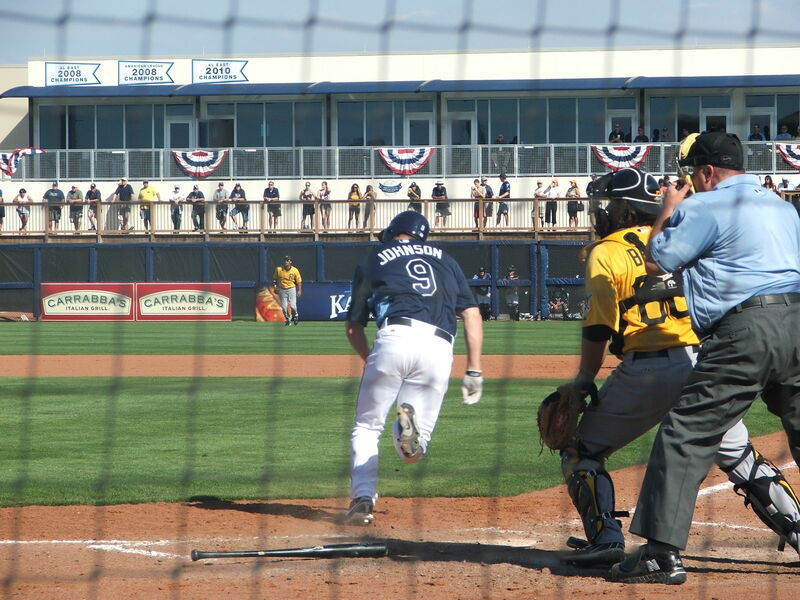 When the Rays came up in the bottom of the 3rd inning, it seemed the Jays were still infused and decimated by the Rays bunt barrage, and possibly a little sugar shock. 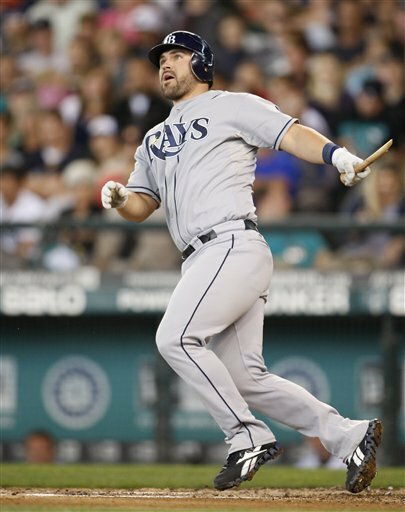 Villanueva, a former Jays reliever, couldn’t seem to get out of his 2nd inning stride and quickly the Rays added some more morsels to their run/ sugar intake. Of the 8 Rays hitters to go to the plate in the bottom of the 3rd inning, 4 produced extra base hits, and the Jays saw 4 more runs cross the plate. Suddenly after solo homer by Kotchman, a double by Joyce, Rodriguez getting pelted with a pitch, Chirinos decided it was time to put the cherry firmly upon the cake and delivered a 3-run shot to Leftfield that left more of a bitter taste in Villaneuva’s mouth than sweet. 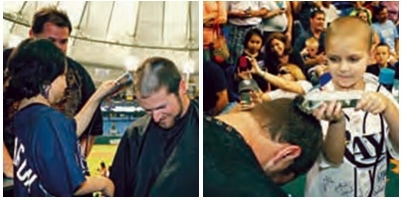 Ex-Rays bat boy and Jays starter Jesse Litsch came in and stopped the flow of Rays runs getting Damon to strike out swinging. Finally the Rays had figured out a way to get out of that 1-2 run lead routine with the Jays and tack on some needed runs with the small ball, then using the long ball to seal the win. This is the type of offensive show that we have seen so often in road games, but has been few and far between at Tropicana Field. 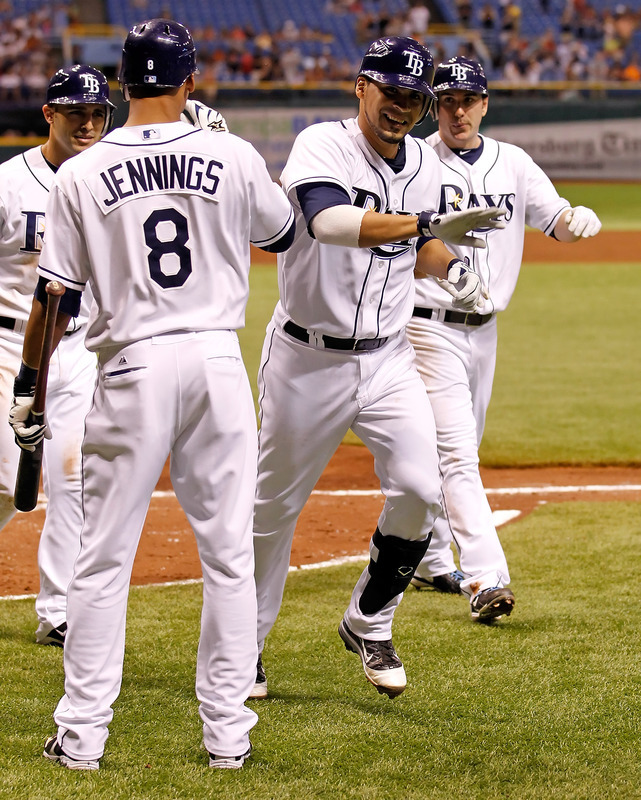 With a win tomorrow during the Parks and Recreation Day, plus the Rays Tweet Up, the team could head into their 3-game series against the Oakland Athletics, who the Rays hope they can extract some more sweet revenge on this weekend. This is the home offense we have been anxiously awaiting. Pining to see finally break through and produce at home. What happens during the Thursday matinée will go a long way in providing comfort and stability that this team has finally broken out of the home rut and will again dominate. A win tomorrow will put then back at square one with a 26-26 mark at home. Tonight the Rays delivered a beauty of a game hitting on all cylinders, providing not only a huge run support cushion for Rays starter James Shields, but a solid effort with this team finally figuring out their home crux. Tonight the Rays did deliver a sliver of just desserts to the Jays, but hopefully it is only an appetizer of what is to come in the next 4 contests. Bon Appetit Rays Republic, for tonight, let the Jays eat some humble pie.